A sense of urgency to do something about the falling water levels in Lake Powell has been growing and was heightened in Colorado (in 2018) by the hot and dry conditions. Looking down on the confluence of the Green and Colorado rivers in Canyonlands National Park in September. 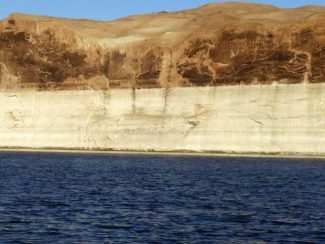 The two rivers deliver water to Lake Powell, and water managers are searching for ways to get more water down both rivers.